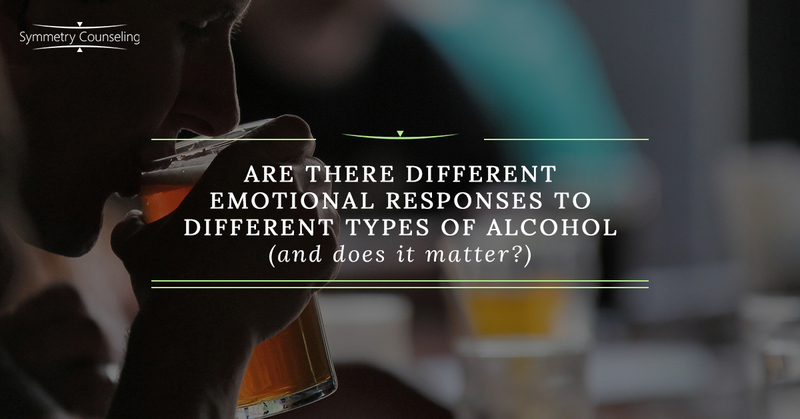 Are There Different Emotional Responses to Different Types of Alcohol (and Does it Matter)? Do certain types of alcohol stimulate certain emotions, positive or negative, more so than others? A recently published study by the British Medical Journal attempts to answer this question by identifying how different types of alcoholic beverages—specifically red wine, white wine, beer, and liquor—impact the emotions of drinkers, whether they be positive (elated, relaxed, or aroused) or negative (anxious, aggressive, and depressed). The short answer, according to the researchers, is that they might, but the more important question is whether it actually matters. The intent of the study is to distinguish the emotional effects experienced by drinkers of different types of alcohol rather than lumping all types of alcohol together. While well intended, the study is flawed because if feeling and/or acting aggressive as a result of drinking is already a problem, then it ultimately does not matter whether you drank liquor, beer, or wine. Alcohol alone does not make us feel certain emotions. Those emotions are there already, like it or not. Alcohol consumption of any type can intensify emotions, especially those we seek to drown by taking a drink in the first place. Men who consume beer report feeling less aggressive than those consuming hard alcohol. Women report feeling a wider range of emotions (other than aggression) when drinking any type of alcohol. Most people report feeling relaxed after drinking red wine; few report feeling anxious or aggressive. Hard alcohol elicits the most frequent increases in intensity of all emotions. Frequent binge drinkers are at higher risk to respond aggressively than casual or infrequent drinkers. Heavy drinkers are also more likely to be susceptible to experiencing high or low emotional states while drinking, no matter the setting. Lack of inhibitions can lead us to feel more intense emotions, but most people who regularly consume alcohol are probably already aware of the variables that wine, beer, and/or liquor can have on their feelings and behavior. Any potential connections identified in the study between specific drinks and specific emotions are fairly obvious, even to non-drinkers, while former drinkers can likely anecdotally attribute certain positive or negative emotional states with consumption of specific types or combinations of alcohol. If you are concerned about alcohol and its impact on your emotional health, then take it easy on how much and how often you drink, particularly the hard stuff. Moderation is attainable, as is practicing harm reduction to reduce or limit risk, up to and including opting for beer or wine over liquor. I will also state the obvious: that the best way to avoid alcohol-related problems is to avoid alcohol, with all due respect for the right of personal choice and self-management. If you think drinking has become a problem, then perhaps it has (please see my previous blog “Do I Have a Drug or Alcohol Problem and What Can I Do About It?”). If you want help in identifying the role alcohol plays in your life, I encourage you to contact Symmetry Counseling. We have many therapists on staff that specialize in Substance Use Disorders and Dual Diagnosis and approach problematic substance use in a number of traditional and evidenced-based practices.